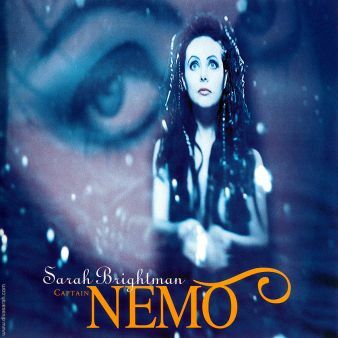 Sarah Brightman synger captain Nemo. "Captain Nemo" is the debut single from Swedish band Dive (Chris Lancelot and Erik Holmberg), released in 1990. This song is named after the legendary character Captain Nemo from the story called 20,000 Leagues Under the Sea. Oplysninger fra wikipedia og CD med Sarah Brightman. Dette nummer findes på albummet "Dive".